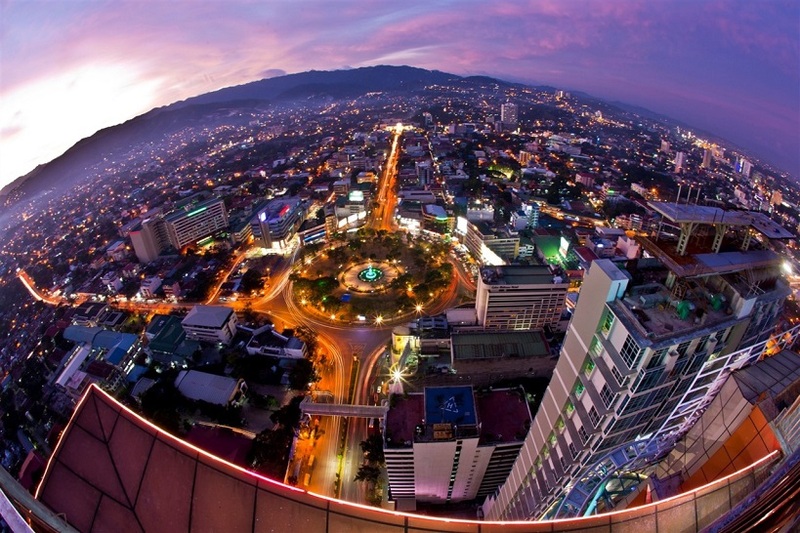 1) Cebu City is the mother of all cities, being the oldest city in the Philippines. It was founded as a Spanish Colony in 1565 by Miguel Lopez de Legazpi. 2) It is home to the oldest street in the country: Colon Street. Named after Christopher Columbus, Colon Street’s founding traces its roots to the town design of Miguel Lopez de Legaspi. Formerly the heart of Cebu’s business and shopping, Colon Street plays home to classical infrastructures and edifices. Although it is considered as a ‘tourism site,’ Colon Street is considered a national road – albeit the shortest one. 3) It is where you can find the oldest school in the Philippines and Asia – the University of San Carlos. It was established by the Jesuits in 1565, formerly as the Colegio de San Ildefonso. 4) It is also in Cebu City where you can find the oldest and smallest tri-bastion fort in the Philippines: Fort San Pedro. Built in 1738, this fort was commissioned by Miguel Lopez de Legaspi to defend the city against Muslim raiders. By the end of the 19th century, it was used by revolutionaries who were seeking independence from Spanish conquerors. It was taken over by the Americans though; they transformed it to the Warwicks Barracks during the regime. 5) The oldest relic in the Philippines can also be found in Cebu City – specifically inside the Basilica of Santo Nino. Located along Osmena Boulevard, this large church has evolved from the quaint Santo Nino de Cebu chapel, which was opened by the evangelists in the year 1565. 6) Here, you can pay homage to the Santo Nino (Holy Child) statue, which is considered the oldest Catholic artifact in the country. This statue served as Ferdinand Magellan’s gift to Queen Juana and her husband, King Humabon, when they were baptized in April 1521. Although fire has ravaged the home where it was kept after Magellan died, Juan Camus, a soldier, found it unscathed. Such event was declared a miracle, that is why the Santo Nino was named as Cebu City’s patron saint. 7) When the Portuguese conquistador Ferdinand Magellan arrived in Cebu, he planted a cross as a symbol of his mission of converting the inhabitants to Christians. This memorial cross can be seen in Cebu City’s aptly-named Magellan’s Cross, an octagonal building situated near Plaza Sugbo. The massive cross is not the original relic that was planted by Magellan on the city grounds, but the plaque underneath it says that the original cross is protected behind the wooden façade. 8) It celebrates its birthday every February 24, 1937, when it was transformed into a charter city through Commonwealth Act No. 58. This was made possible by then-Senator Vicente Rama, former Cebu 3rd district representative, who authored and sponsored the bill. 9) It is touted as the cradle of Christianity in the Far East, being the entry point of many evangelists in Asia. Fray Andres de Urdaneta and Miguel Lopez de Legazpi are considered the advocates of Christianity in Philippines – and subsequently, Asia – as their efforts to create a Spanish settlement help made the proliferation of the religion possible. 10) Cebu City played a big role in World War II – as it served as the fighting grounds for the Battle of Cebu City. The clash, which lasted from March 26 to April 8, 1945, resulted in the liberation of the Queen City of the South – with the Allies trumping the Japanese army who took hold of the port city. 11) Cebu City has its own version of Brazil’s Mardi Gras, held every January (The Sinulog Festival). This colorful celebration’s highlights are its colorful street parades that venerate Santo Nino. The culminating event of the Sinulog is the Grand Festival, which commemorates the eventual conversion of ancient Filipino pagans to Roman Catholicism. 12) It provides a sweet escape from the hurly burly of Manila. As the main domestic hub outside the Philippine capital of Manila, the airport ushers flights from Qatar, China, Taiwan, Japan, Hong Kong and Singapore. 13) Cebu City’s tallest building is sure to provide you with a pure adrenaline rush you can’t find elsewhere in the Visayas. Then make sure to visit the city’s tallest building, Crown Regency Hotel, where you can literally put your life on the line by embarking on its Sky Experience Adventures. Here, you can ride an edge coaster – the first and only ride of its kind – that sets you at the edge of the building, almost 429 ft above the ground. You can manipulate the lever and tilt the seats to as much as 55 degrees for a fun yet nerve-wracking experience. If this is too much for you, you can try the Sky Walk Extreme – the first of its kind in the Philippines. It is here where you get to walk around the translucent glass flooring of the hotel at almost 416 ft above the ground. 14) Get a bird’s eye view of the whole city at Tops. If you don’t like to risk your life over Crown Regency’s death-defying, vomit-inducing rides, then the best way for you to enjoy the breathtaking views of Cebu City is by climbing the Tops Lookout, a view deck perched on the summit of Mt. Busay. While a tiring hike is required if you want to reach the top (even after hiring a jeep or taxi to take you to the top) your stresses are sure to fade away once you reach the apex of Tops. Here, you can revel in the lovely cityscape of Cebu, from 6,500 ft above sea level. 15) It is home to the to-die-for pig dish, too! For a gastronomic experience like no other, make sure to sample Cebu City’s world-famous Cebu Lechon, a suckling pig dish known to be the best in the country – if not the entire world. Try this dish and you will enjoy culinary heaven with its super crispy skin and tender insides. The Cebu lechon is good enough by itself that you will not need any sauce or condiment to augment its explosive flavor. 16) Albeit a Catholic city, Cebu also honors Taoism. Be enlightened with the teachings of Lao Tse by visiting Cebu City’s Taoist Temple, located in the affluent neighborhood of Beverly Hills. Although the city is considered the Catholic gateway, numerous Taoists continue to thrive in the city. The way to the top entails 81 flights of stairs which represent the 81 chapters of Taoism scriptures. At the apex, you can take a preview of the future by throwing joss sticks and having your fortune perused. 17) It is replete with awe-inspiring historical marvels. Take a journey back in time by visiting the Casa Gorordo Museum, the former abode of Juan Garces Gorordo, the first Cebuano bishop. Named as a historical landmark in 1991, it features exquisite architectural examples from the 19th and 20th century. Museo Sugbo, located along M.J. Cuenco Street in Cebu City, is known the island’s provincial museum. Its current building served as the former home of the Cebu Provincial Detention and Rehabilitation Center. Before that, it served as the garrison of Katipuneros, guerillas and Cebu collaborators. Despite its gloomy past, it is considered as one of the foremost cultural centers in Cebu City. After all, it plays home to 14 galleries that depict relics, ceramics, paintings and memorabilia that represent the beautiful culture of the Queen City of the South. 18) Do you love horror houses and golfing? You can get the best of both worlds by visiting one of Cebu City’s most “unique” hotspots – the Zoomers Indoor Black Light Miniature Golf Resort. This nine-hole golf club will take you to the underwater world – to the tombs of ancient Egyptian mummies. The last holes, on the other hand, feature a “Pirates of the Caribbean” theme – all of these would surely amount to a golfing experience that you will never forget. 19) It is in Cebu City where you can find one of the longest and widest bridges in the Philippines – the Marcelo Fernan Bridge. Inaugurated in August 1999, this 4,000-ft long bridge connects Cebu island to the nearby Mactan Island. 20) Cebu City is the hometown of YouTube’s viral sensations – the Cebu Provincial Detention Center and Rehabilitation (CPDRC) Dancing Inmates. The video, which was uploaded in July 2007, features hundreds of inmates dancing to the beat of Michael Jackson’s Thriller. In December, Time Magazine named the CPDRC’s ‘Thriller’ video as the fifth most popular viral video of 2007.